JMV LPS limited the manufacturer, supplier & exporter of Sectional Copper bonded earth Rods (Copper Clad Rods) having a minimum of copper thickness of 250 microns, which ensuring corrosion resistance.For deep driving to depths necessary to obtain good conducting level for uniform low-resistance grounds. The features are same as of Copper Bonded Rods or Copper Plated Rods for earthing. 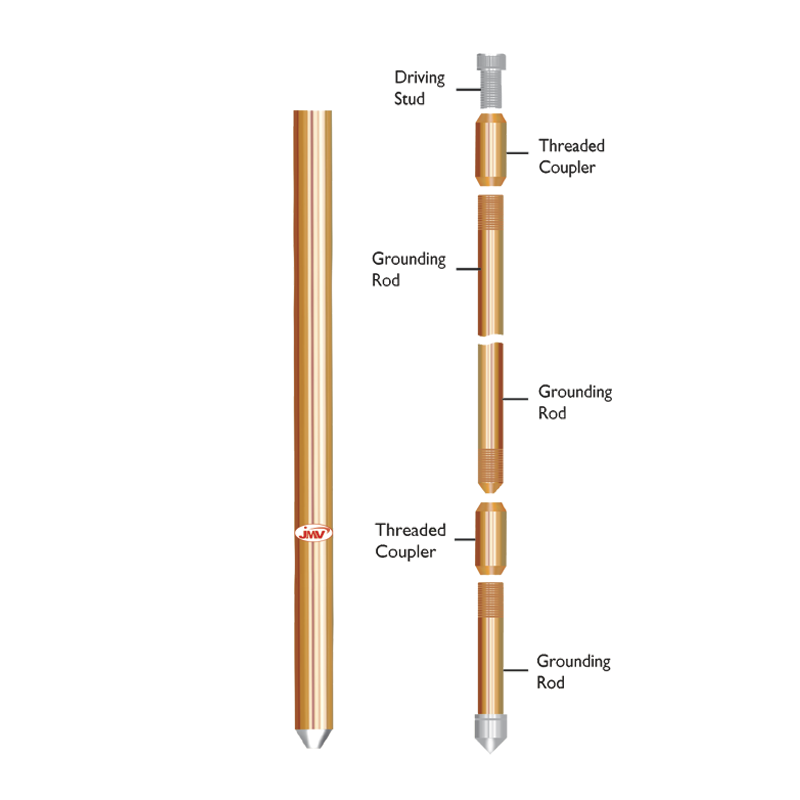 Cold-rolled threads at each end for joining the various lengths of rods together with couplings. Cold-rolled threads which are stronger than cut threads, provide the added strength of continuous, unbroken grain flows.